Note the specialized snake-killing footwear. Never attempt to shoot a pistol at a dangerous animal lying on the ground in front of you unless you’re wearing flip flops. Probably closer to six feet, than over eight. Still a really big rattler. The largest western diamondback ever officially measured was 92.5 inches long. And let me tell you, that is a monster. 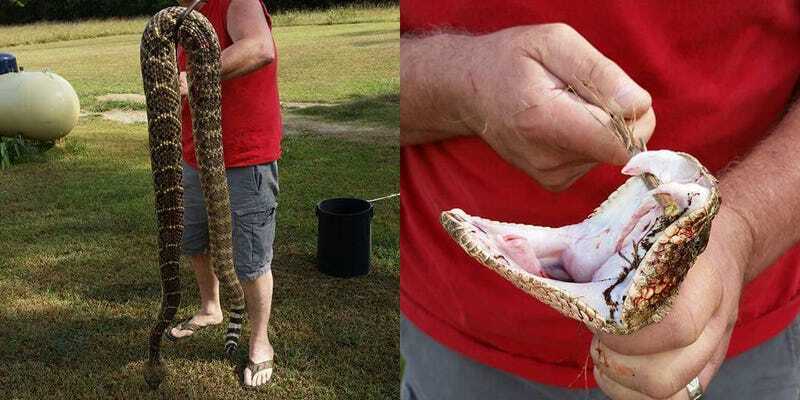 I’ve only encountered a rattlesnake this large once in my life and hope to never again. Until you see one as big around as your thigh in real life, it’s hard to believe the get that huge. Typical sizes are closer to the three to five-foot range. Hitting the snake with a .38 snub can’t have been easy.